Navigate Anywhere in the World! 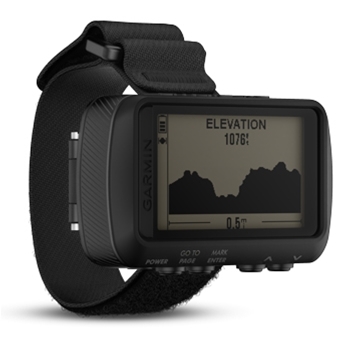 With the Foretrex 701 Ballistic Edition Watch from Garmin, navigating hands free is a breeze. A Rugged Wrist-Mounted GPS designed to military standards the 701 uses GPS, GLONASS and Galileo Satellite systems for the most accurate postion. 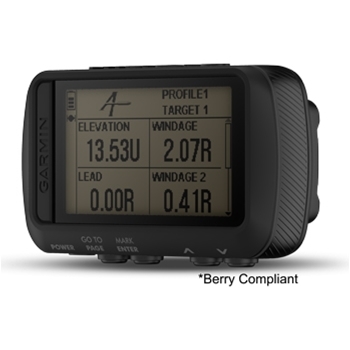 Built in ABC Sensors (Altimer, Barometer and Compass) provide elevation data showing ascent and descent, show changes in short term trends in air pressure - perfect for predicting weather changes and will even show your heading even when standing still! Advanced Ballistic Software specific to the 701 calculates aiming solutions for long range shooting - an excellent addition for hunters and target shooters. Designed for Military standards - the 701 is durable, and constructed with thermal, shock and water performance in mind. (MIL-STD-810G). Another added benefit for those in the military is the ability to use the 701 with Night Vision Goggles - the 701 will reduce backlight settings so that it wont interfere with your goggle use. With an extended battery life, the 701 will exceed 48 hours in navigation mode, 1 week in UltraTrac mode and up to 1 month in watch mode. Mark Waypoints, Routes and Tracks and Navigate back to them with confidence. You can even stay Connected while on the go by pairing your 701 with your compatible smartphone for emails, texts and alerts right on your wrist. Plus when paired with your smartphone and GarminConnect you can automtically upload your data and share info to LiveTrack which will allow your friends and family to follow along in real time! If you are looking for a top contender in outdoor fitness and tracking then you have found it with the Foretrex 701. Berry Compliant option does not include hoop and loop wrist strap or strap extender. 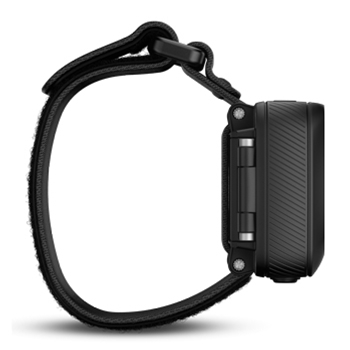 Each Garmin Foretrex 701 Ballistic comes with: Garmin Foretrex 701 Ballistic Edition, hook and loop wrist strap, strap extender, USB cable, documentation. *Berry Compliant Edition does not include hook and loop wrist strap or strap extender.